Tolo News: Security officials said Tuesday the road connecting Marjah district with Lashkargah city in Helmand has been reopened to traffic – 20 days after their clearing operation started. 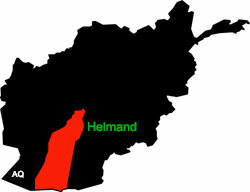 Until Tuesday the Taliban had essentially formed a ring around the provincial capital cutting off the city. Click here to read more (external link).